It is important for family caregivers to develop good sleeping patterns to boost their mental, physical, and emotional wellbeing. Lack of sleep could lead to caregiver burnout, among other issues. Here are some of the reasons family caregivers need a good night’s rest. Caregiving can be a stressful job, and stress can lead to hypertension, inflammation, poor glucose levels, and other serious health issues. Stress can also increase the risk of cardiovascular issues for family caregivers, and lack of sleep can add to these issues. However, getting plenty of rest can help you reduce stress and control your blood pressure levels. Good sleeping patterns can have a positive effect on cholesterol levels and reduce the risk of developing heart disease. Hiring a professional caregiver can allow you to take a break from your caregiving duties to focus on your health and wellbeing. In Georgetown, SC, respite care is a great help to many families. Caring for a senior loved one can be overwhelming at times, which puts family caregivers at risk for burnout. However, an in-home caregiver can take over your loved one’s care, allowing you the time you need to focus on your own health, maintain a full-time job, or care for other members of your family. If you are caring for a senior loved one, your focus should be keeping him or her safe at all times. Without plenty of rest, you may feel drained emotionally and physically, which could prevent you from maintaining a clear and sharp mind. As a result, your loved one’s health is put in danger. Therefore, you should get plenty of rest to keep your mind sharp and alert. Part of being a caregiver is helping your loved one alleviate boredom and reduce the risk of isolation by thinking of creative activities he or she can do. If you are deprived of sleep, your creativity will not be up to par. With plenty of rest, the brain will consolidate your memories, making them stronger. As this happens, the brain reorganizes and restructures those memories, which could result in more creativity. If you are the primary family caregiver for an elderly loved one and need additional assistance providing high-quality non-medical home care, Georgetown Home Care Assistance can help. 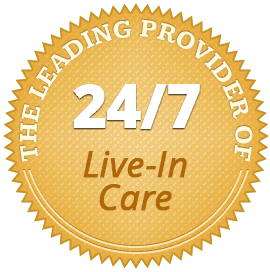 We are a leading home care agency committed to changing the way seniors age. It may be difficult to cook a nutritious meal and complete your caregiving duties each day, which could lead to poor eating habits. While it is important to plan your meals, getting plenty of rest can help you shed weight as well. When you don’t get enough sleep, you are more likely to feel hungry. Sleep and metabolism are both controlled by the brain. When you are sleep deprived, various hormones in your body may increase and drive up your appetite. Many accidents happen because people are exhausted. Being sleep deprived could affect your reaction time, affecting your decision-making skills. Insufficient sleep can be just as detrimental to your health as consuming alcohol and other brain-altering substances. Family caregivers sometimes begin to isolate themselves from others, which can contribute to boredom and depression. Although you should maintain a proper balance between your personal life and caregiving duties, you should also get adequate sleep. Good sleeping habits can lower your risk of depression, which is extremely important if you have begun to cut back on social functions. You will receive more emotional stability when you get plenty of rest. Consider hiring a professional caregiver if you need a break from your caregiving duties to relax, unwind, and recharge. Although it may be challenging to find a reliable, highly rated home care agency, Georgetown, SC, families can turn to Home Care Assistance. Our respite and live-in caregivers are expertly trained to assist seniors with a wide array of important tasks, including cooking, bathing, light housekeeping, and exercise. Call us at (843) 353-3105 to schedule a free in-home consultation.